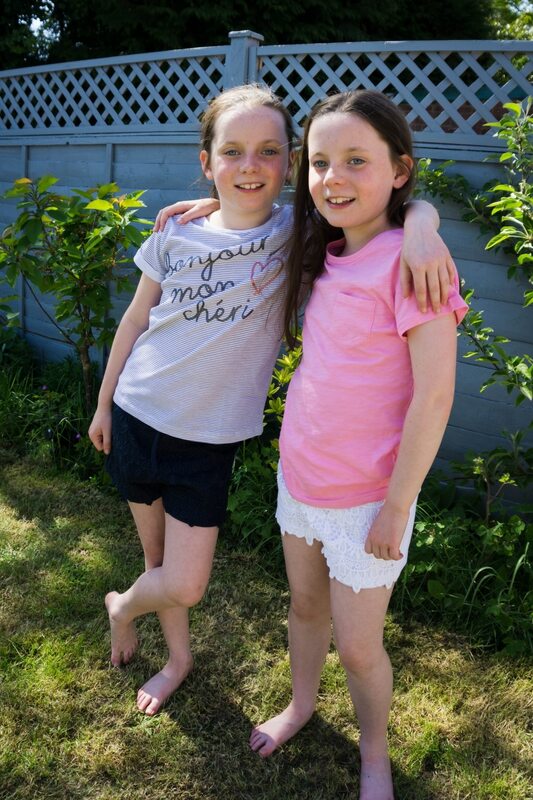 With my twins now 9 and the warmer weather coming their wardrobe was looking a bit on the empty side! I haven’t really shopped much at Primark over the years, but I’m now regretting that! I took a trip to the Southampton store a week ago to pick up some summer pieces for the girls. I only went in for some shorts! 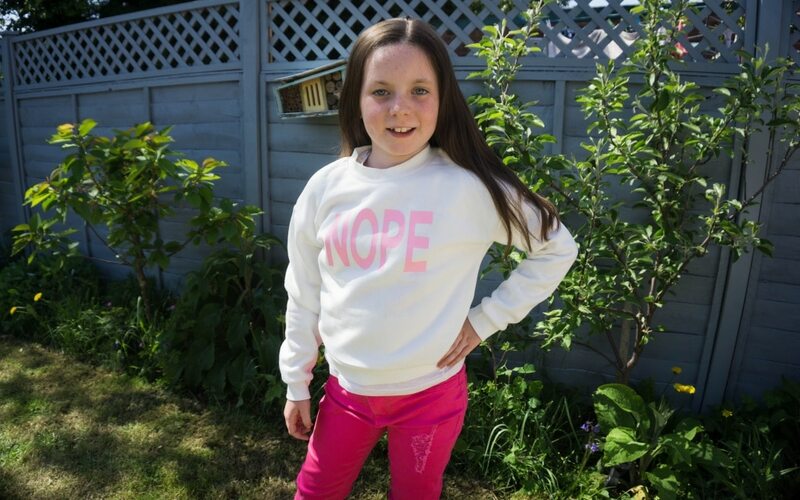 So I thought I would put together a little girls summer Primark haul for you to see. I am seriously impressed by what they had on offer and the prices. All these pieces are aged 9-10 years but I would say Primark clothes is on the smaller side. My girls have just turned 9 years old but they are not big 9 year olds either. Everything does fit perfectly though and I think it will last them the summer. This playsuit is very thin and lightweight which is perfect for the warm weather. It has a lovely pattern on and little straps. 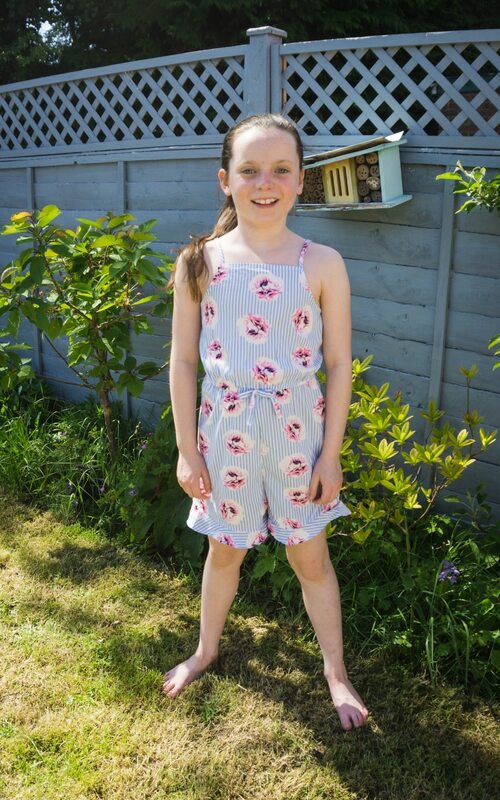 My daughter loves wearing shorts and usually you find pretty girls dresses but not the playsuit version. I hope they get some more in of these as I think she would live in it! 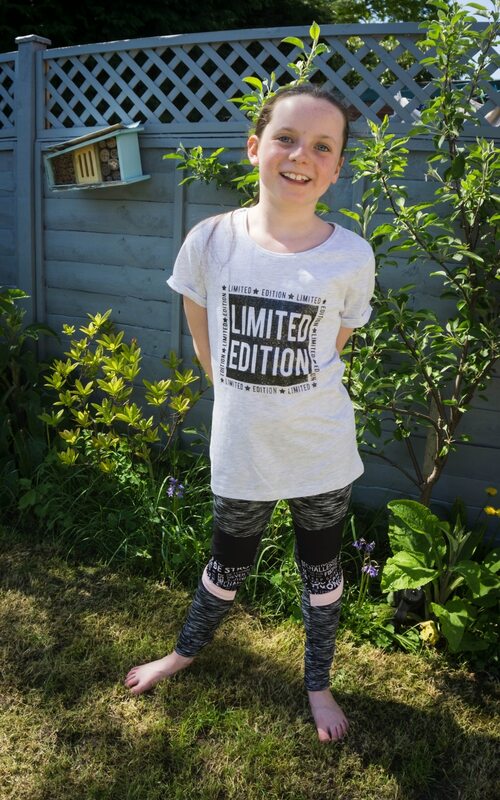 I haven’t had these t-shirts from Primark before, they are so cheap so I thought I would give them a try. So far I am so happy with them. Good quality and if they only last a few months and get grubby I won’t mind! You will see these a few times in this post! 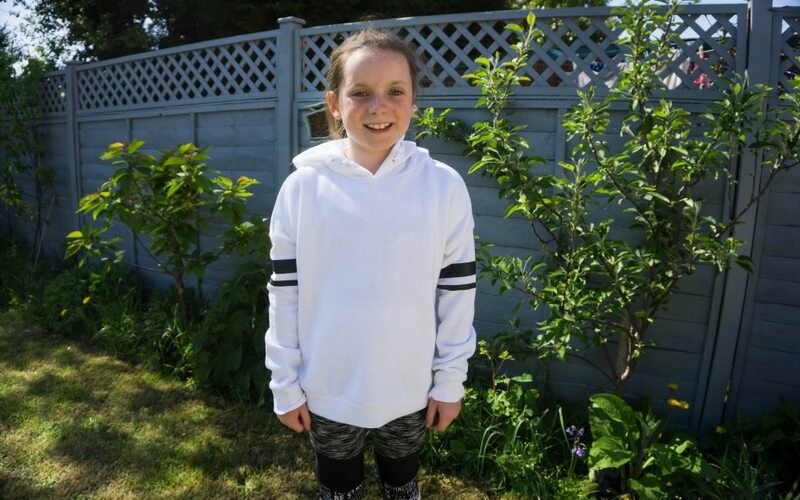 Sofia loves a hoodie to throw on to keep warm. This one has a hood and is pretty thick. Wish me luck on the white…..! 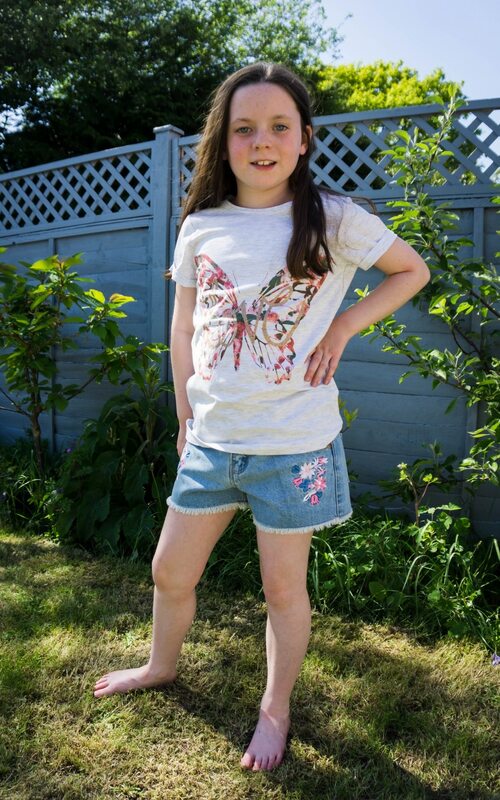 These shorts are so pretty, with embroidered flowers on the leg, frayed edges and adjustable waist. They would go with quite a lot of kids clothing. 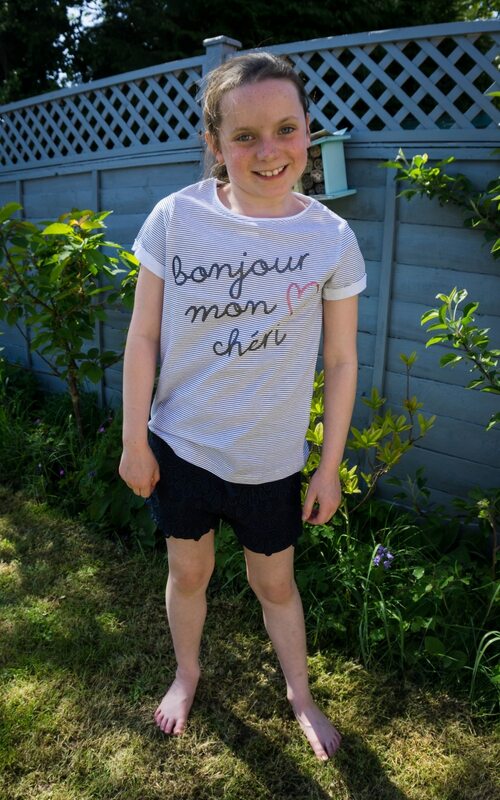 I love dressing my girls in ‘same but different’ sets which sums them up perfectly! So when I saw these shorts that came in a few colours I loved them. Sofia had navy colour and a cheap T-Shirt to match. 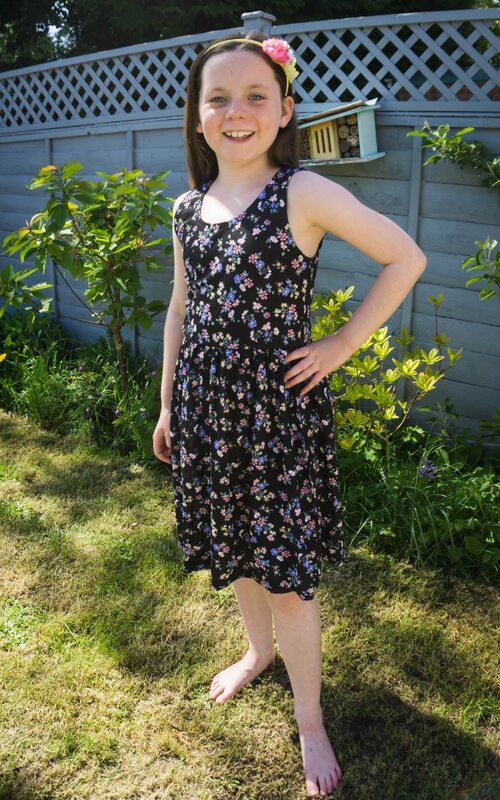 Lily is more girly than Sofia so loves a dress, so when I spotted this cotton dress I knew she would love it. I think I am going to pick up some more as this has been perfect in the warm weather for her. You can’t go wrong with a skinny jean! So when I saw these bright pink jeans I knew Lily would love them! I loved that the colours of this T-Shirt matched perfectly too. Again the same as the navy shorts these are the white version. They are elasticated waisted and Lily has found them very comfy. All of this came to £64.30 which I think was a good price for 2 of them and all these outfits. Do you shop at Primark? I’ve got one lady like one and one not!!! What a fab selection! 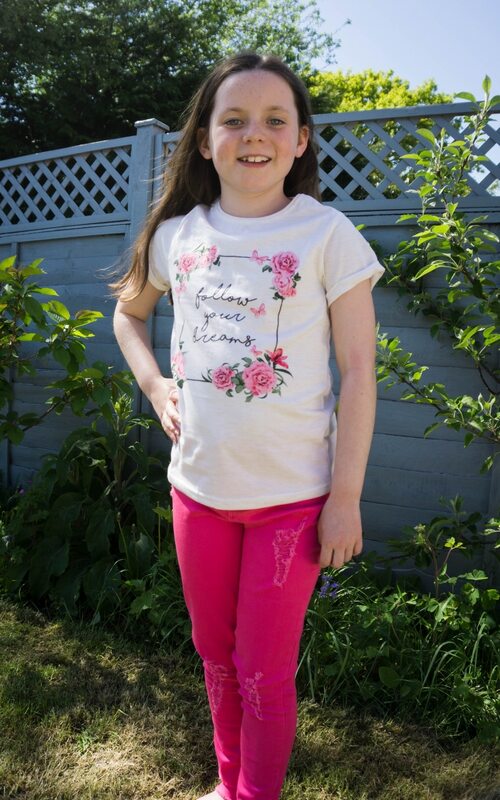 Primark have some great clothes for children, I buy a lot for mine from there! I am loving the pieces the twins have on. So summery. Perfect for the weather. Thanks now we need the warm weather back again! I find Primark a bit of a hit and miss. But this is a cute haul, I love the playsuit! Oh do you, I’ll have to visit a few more times and see how I do!!! Primark is great for hauls like this. I’ve being picking out bits for the entire family ready for our holiday. Love that jumpsuit! Jumpsuit is super cute isn’t it! Love the colour of the pink skinny jeans! Great haul from Primarni! We need to invest in some more summer clothes. They are great aren’t they, so bright! I haven’t been to primark in ages! The girls need some new summer bits and I love the playsuit. You picked out some really nice clothes! I think the floral jumpsuit and the white hoody are my favourite. Ah thank you, I love the jumpsuit best too! 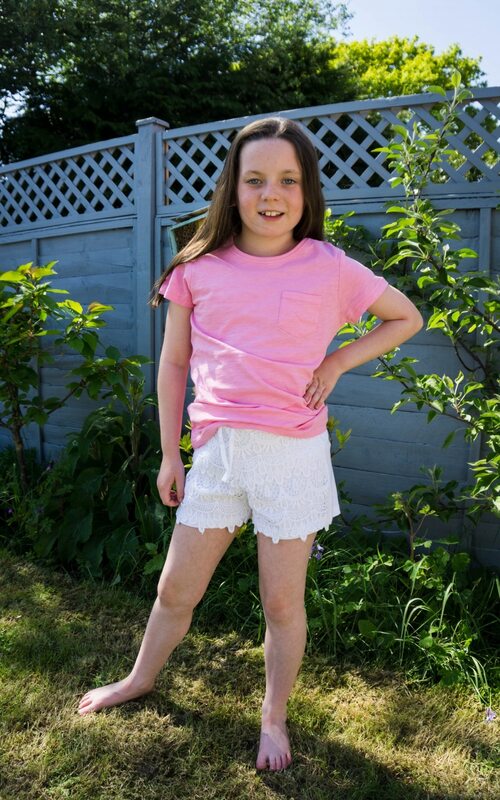 Ah my daughter lives in shorts too – it’s only that it’s now getting so much colder she’s looking for pants. 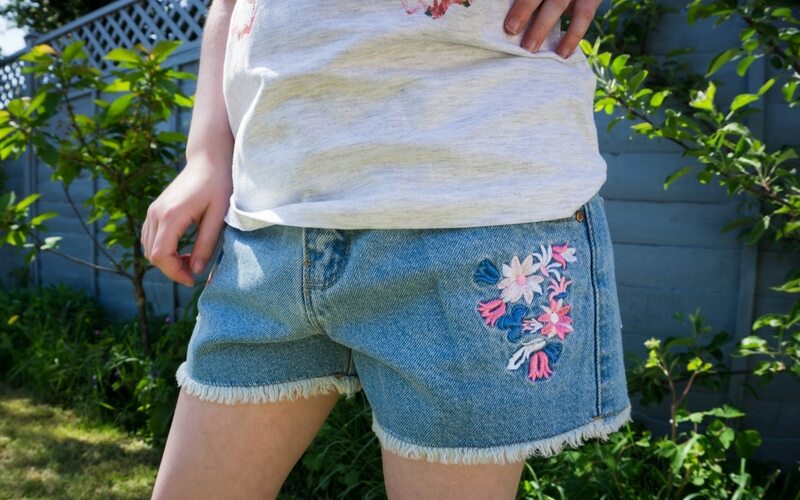 I do love the denim shorts with embroidery! Pretty shorts aren’t they, comfy too! Oh no! Yes they do some great bits, I will be back for sure! 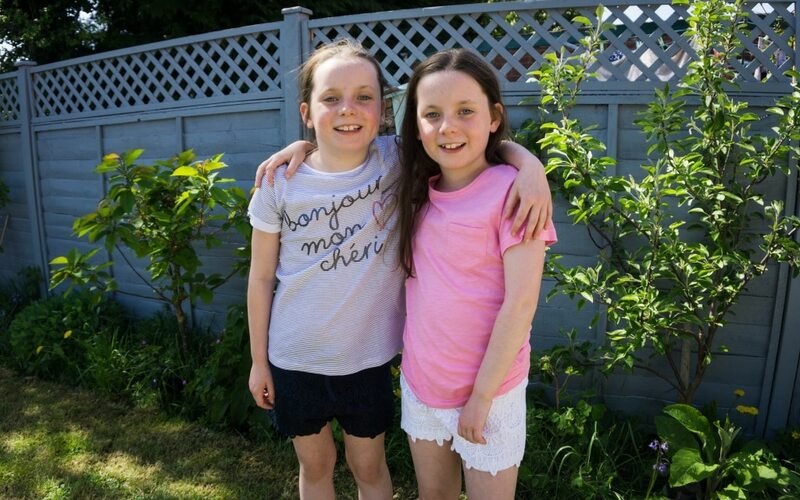 Gorgeous girls – I have a Lily too 🙂 I love those white shorts – think I may need to get them to add into Lily’s capsule wardrobe! I always get to this time of year and suddenly realise the kids have no suitable clothes! I love Primark for stocking up their wardrobes, it’s so satisfying to bring home so many clothes. 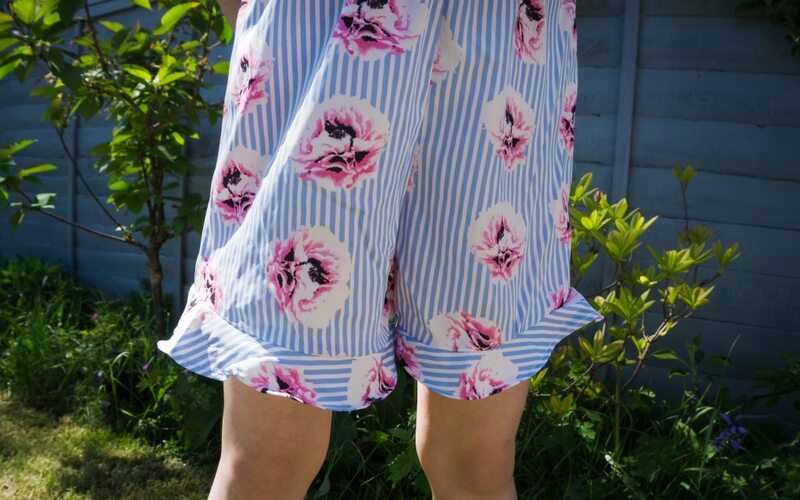 I love the floral playsuit – you can’t beat a playsuit for summer in my book! I think everyone else was thinking the same thing in Primark and stocking up on summer clothes!!! Thank you, I think I could have spent much more in there!! !